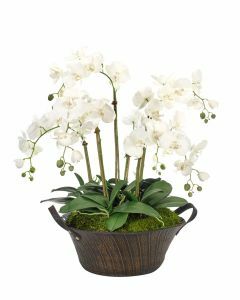 Noted designer Barclay Butera pairs stunning permanent florals with the perfect vessels. 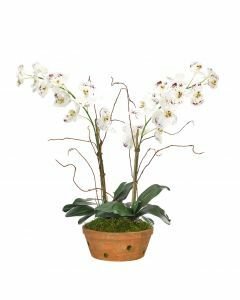 The styling is done for you, adding a high-end designer's touch to any space. 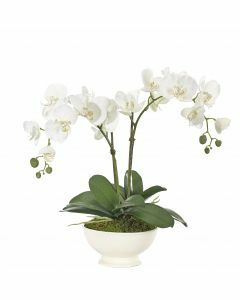 This white silk floral arrangement comes with an elegant ceramic bowl. The bowl measures 18’’ x 18’’ x 10’’. Interior use. Dust with dry cloth. Avoid moisture and direct sunlight. Click image for greater details.